The reorganisation of the BEKUM Group in Germany and Austria was successfully completed in spring 2016 as planned. The Production division, which includes machine assembly, shipping, procurement, work preparation and warehousing, has moved to Traismauer (Austria), about 60 km from Vienna. For this purpose, more than 5 million Euros were invested in the expansion of the Traismauer site and approximately 40 new employees were hired. These were essential milestones for strategic reorganisation, defined by a dedicated BEKUM management team in Berlin and Traismauer, for achieving simultaneous aims of stability and continuity, as well as progress and innovation. 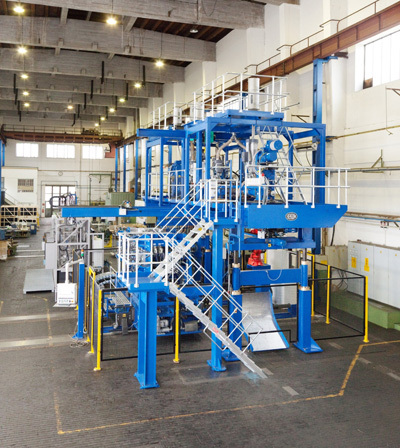 The successful consolidation of production departments prepares BEKUM for the future in the area of packaging machines. At the same time, major commercial success in automotive machines proves BEKUM to be the “all-around” technology leader in blow moulding machines.